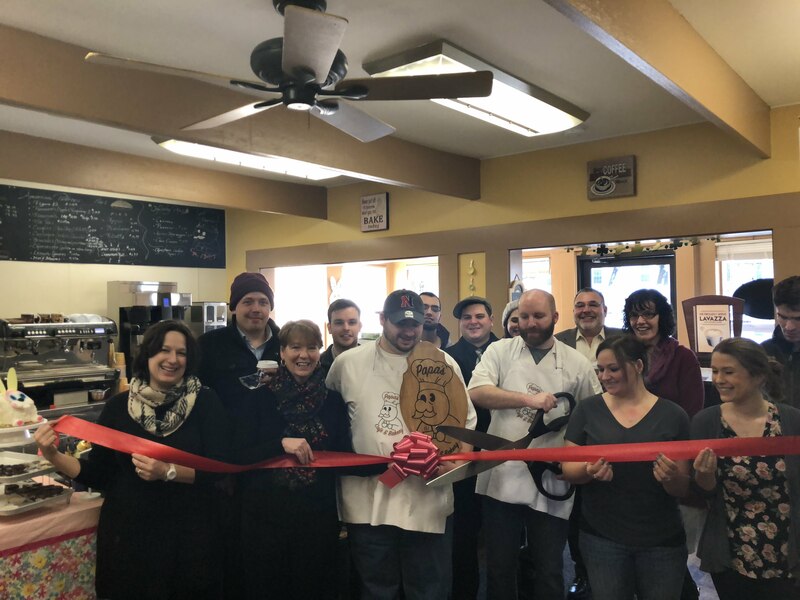 The Greater Haverhill Chamber of Commerce was pleased to conduct a Ribbon Cutting on Tuesday, March 20, 2018 in celebration of the opening of Papa’s Bakery and Cafe. Newly located on Groveland St, Papa’s Café and Bakery makes Lavazza Coffee and Artisan Baked Goods. They serve a full array of foods ranging from Breakfast sandwiches, calzones, and macaroons. Matt and Mike of Papa’s Café and Bakery are great guys who strive to create great product. Photo: Mike Mansfield and Matt Pappa cut the ribbon among family, friends and fellow chamber members.